Tet is the most important celebration in Vietnamese culture, an occasion for reflection, a celebration of ancestors, and family reunions. In 2019, it will commence on the day of the new lunar year, February 5th. So what is it like? For starters, it’s a mix of all the fun of a birthday celebration, mixed with the craziness, spirit and togetherness of Christmas in Western cultures. Add in the spirituality of the Day of the Dead (“Remember me”), and the gleeful arrival of New Year, and you might start to visualize how grand and important Tet is to the Vietnamese. Street after street, house after house are adorned with countless blossoms, kumquats, chrysanthemums and flowers simply too plentiful to have their names remembered. During Tet holiday, everybody happily puts on their best suits, hosts huge family gatherings, or visits many public places with their family members and friends, among other traditions. Here, we share with you where to go and what to do if you are eager to experience Tet for yourself. The below detailed guide to Tet holiday in Vietnam will feature the most prominent among them. The heart of Vietnam’s capital and the site of one of the country’s largest Tet firework shows, Hoan Kiem Lake is a place you shouldn’t miss in Hanoi. On the eve of Tet, people gather around the legendary lake to behold the splendid firework display that starts at the stroke of midnight. Though there are many such shows throughout the city, the Hoan Kiem Lake show is among those with the highest turnouts. The colorful spectacle and the chance to socialize with many Hanoians in a festive mood is sure to be a memorable experience. For a different Tet experience, head to Dong Da Hill southwest of Hanoi to celebrate Dong Da Festival on the fifth day of Tet holiday. The festival commemorates a victory over Chinese invaders a few centuries ago with all the battles taking place during Tet holiday. Attending would help show you how the Vietnamese manage to both enjoy themselves and honor their heroes on this occasion. Finally, you can purchase some classic Tet souvenirs by visiting the famous Temple of Literature built in 1070, dedicated to Confucius, sages, and scholars. 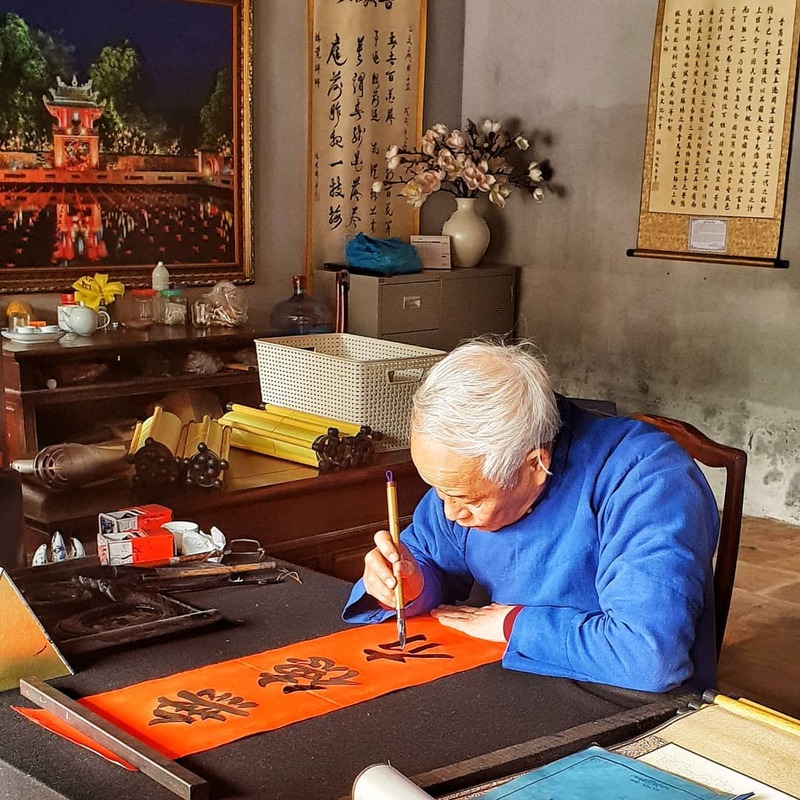 Friendly traditional calligraphers (called ong do) working here are ready to write wishes in Chinese characters for you. If you want to avoid massive crowds that are certain to populate Vietnam’s popular destinations during Tet holiday, then Mộc Châu plateau should be on your visit list. The plateau is 200 kilometers away from Hanoi, well-known to backpackers but still far from being a mainstream attraction. Therefore, this is an ideal place for those wishing to seek peace and serenity amid the holiday season. 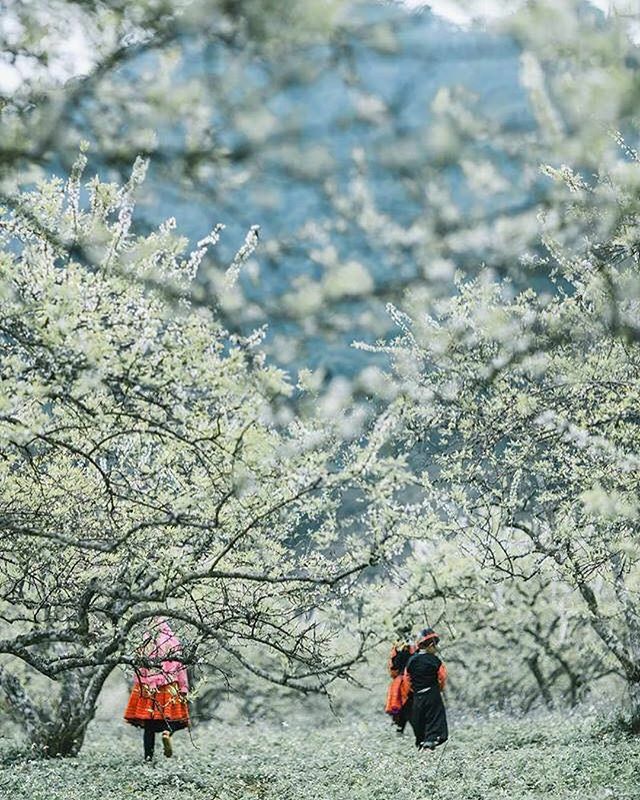 Wonderfully, Tet also happens to be one of the best times to visit Moc Chau as all the plum blossoms and sakura bloom, making the plateau look like a paradise in white. Then, consider drinking a cup of tea harvested from nearby verdant tea hills to calm your mind or learning about the unique lifestyles of native H’mong people while you’re there! A modern and relatively young city, Da Nang may appear, on the surface, to be devoid of the traditional and spiritual depths that Tet is all about. Nevertheless, it still has a lot of places that you can visit to enjoy the occasion. 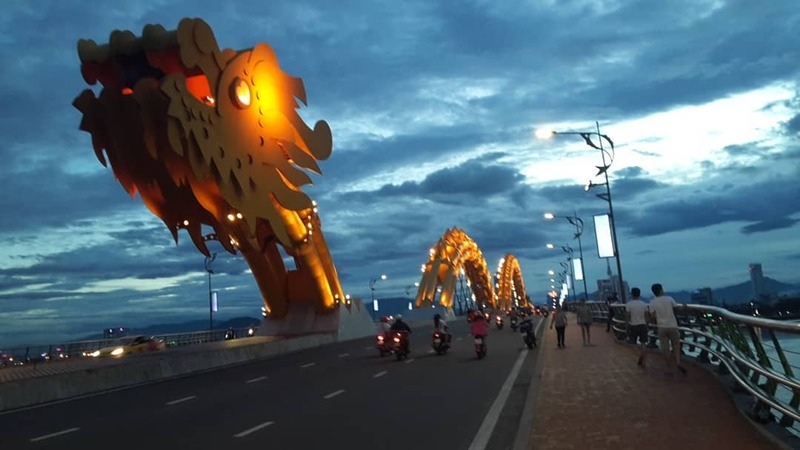 Travel first to the iconic 666-meter-long Dragon Bridge near Da Nang International Airport. Its dragon head breathes fire and water each Saturday and Sunday night, which always makes for an impressive spectacle. Then you can head to the five Marble Mountains, known in Vietnamese as Ngu Hanh Son. All of the mountains have cave entrances and an amazing labyrinth of tunnels reminiscent of the renowned Son Doong Cave. Upon reaching the summits, you will be in for a stunning view of the lush rainforest around the mountains, the turquoise sea on one side and the thriving city on the other. The mountains also feature some well-known Buddhist sanctuaries, making them a must-go spiritual destination. In fact, making a pilgrimage to Buddhist pagodas is also a Tet custom, so pay a visit to it if you want a complete Tet experience. Discover Marble mountains and other destinations in Danang with Inspitrip here! 40 minutes south of Da Nang, Hoi An is an ideal getaway that boasts a rich historical background that the metropolis lacks. 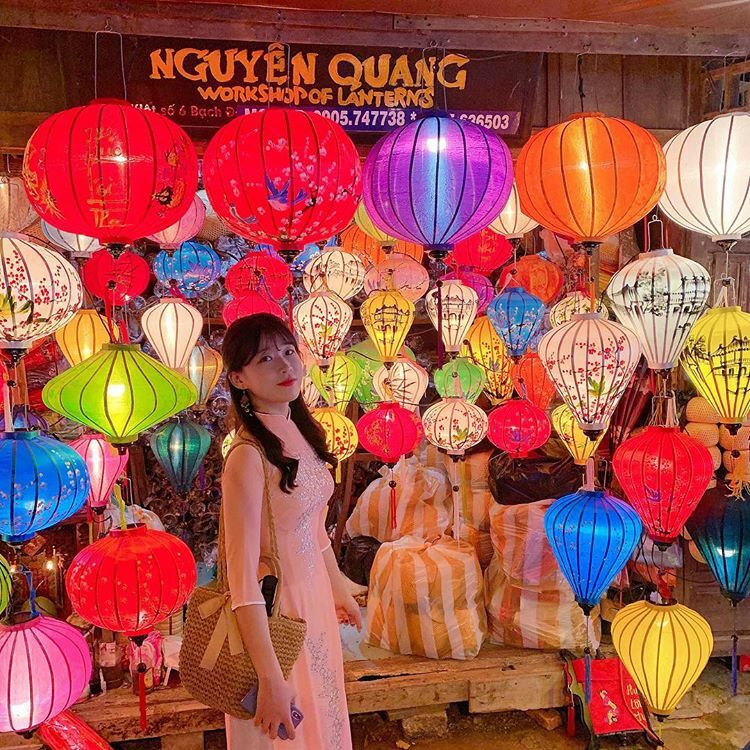 Once you have had enough of the modern Da Nang, look for an authentic traditional Tet feel by driving to the ancient town whose streets have been decorated with colorful lanterns and lines of apricot blossom trees. On the eve of Tet, join the locals in the enchanting lantern festival by the Hoai River in which the local people send their love and regards to their ancestors. As the holiday progresses, there will be a lot of Tet traditional practices in the nearby Tra Que Vegetable Village. It would be both enjoyable to watch the grand offering ritual to Vietnamese ancient deities or watch lion dances, traditional music performances and boat-racing competition, just to name a few. Discover fascinating things to do in Hoi An with Inspitrip now! 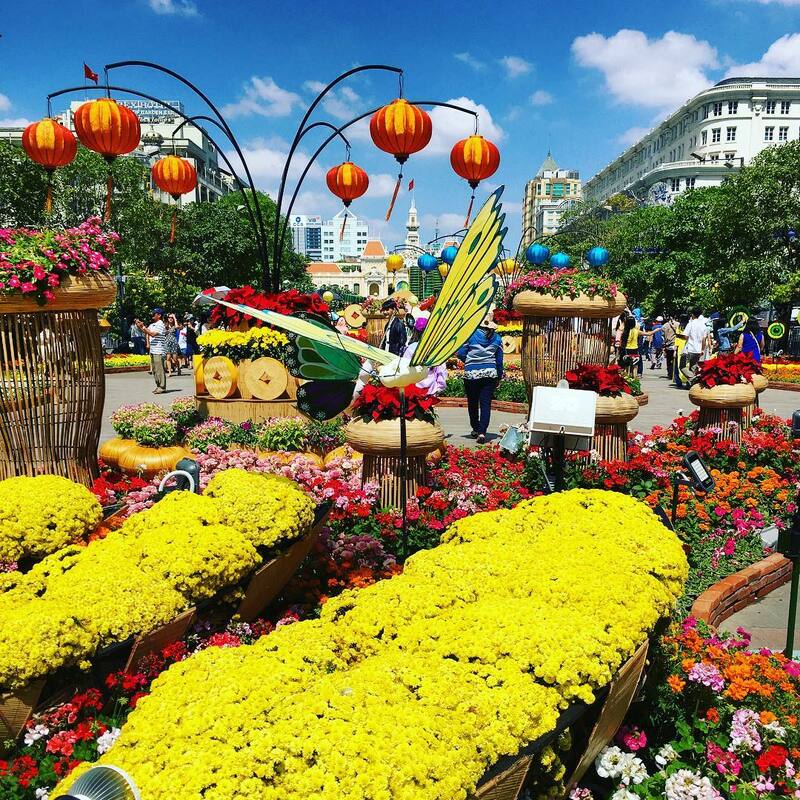 It would be a crime to omit the Nguyen Hue Flower Street from your list of where to go in HCM City during Tet holiday. Every year, the grand 720-meter-long pedestrian boulevard is transformed into a mesmerizing floral attraction. Go there to be dazzled by brilliant flower displays, original artwork, LED lights and attractive themed installations. It would require all your willpower to resist taking photos with the decorations. After pleasing your senses, take care of your soul by stopping by the accompanying book fair where thousands of books, both new and classic, are waiting to be found by avid readers. Consider also checking out the Sai Gon Zoo and Botanical Gardens located in District 1, which aren’t directly related to Tet but are worth a visit nonetheless. It is open throughout the holiday and allows visitors to take part in a host of interesting activities. These include lion dances, flower festivals, Tet music performances, magic shows, botanical exhibits, etc. Finally, if you like to play with fire, be ready for some of Vietnam’s most fascinating firework displays! On this year’s eve of Tet, firework shows will ignite at six areas across the city, of which Thu Thiem Tunnel is the best spot to watch. If you have yet to have your share of flowers, go to the much-hyped flower villages in the Mekong Delta. The most well-known among them are Sa Dec, Cai Mon and My Tho. 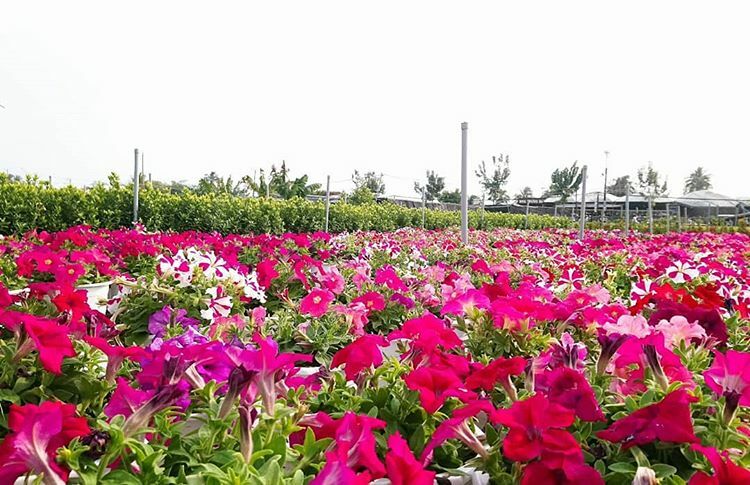 They have been the leading suppliers of Tet flowers in Southern Vietnam and elsewhere. It would be difficult not to be amazed by the sheer number of flower colors, sizes and types available. Taking a visually attractive selfie has never been easier. Floating markets like Cai Rang, Nga Bay and Phong Dien also deserve a visit. They represent some of the most long-lasting characteristics of local aquatic lifestyles and can give you one or two cultural lessons. But more importantly, riverside shopping is quite fun and pleasant. Remember, though, that the markets are only interesting in the countdown before Tet, when people are busy shopping for Tet preparations. During and after the holiday, they are quite idle since most vendors and customers stay at home to celebrate. Explore Mekong Delta during springtime here! 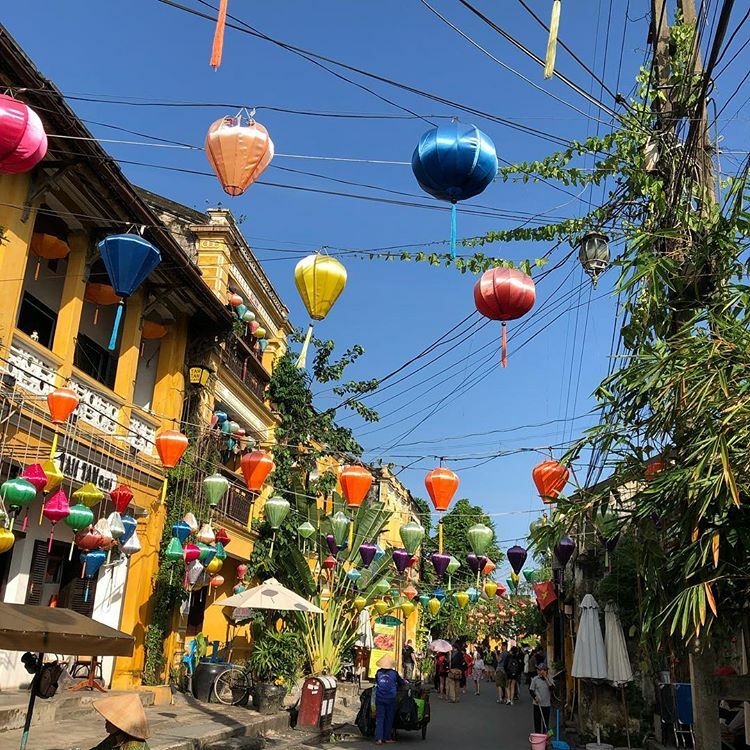 Since the populations of Vietnam’s urban centers are made up largely of migrants who return to their hometowns during Tet holiday, you will find major cities significantly empty and quiet on those days. While it is really intriguing to see the unseen side of Vietnamese urban life, the downside is that you’ll only see a few stores, restaurants and businesses that remain open on the very first days of Tet. Tet also means that services and transportation prices will go up everywhere, which is both an annoying fact and necessary evil. Besides, traffic can become a serious hassle because of the holiday volume. Thus, it would be less risky for your trip if you had some local friends and celebrate Tet with them and their family. But no need to worry much! You will find many interesting things to discover at our aforementioned places. Just smile often during Tet holiday as it will bring you good luck according to the Vietnamese beliefs.